Hello, and welcome back to my look at Season 2 of the Marvel/Netflix collaboration, Iron Fist. Since this season was (thankfully) shorter than the previous, I’ll bring this feature to a close today with an examination of Episode 8: “Citadel on the Edge of Vengeance”; Episode 9: “War Without End”; and Episode 10: “A Duel of Iron.” I’ll offer up my usual thoughts on what did and did not work, clue you in on the several Marvel Easter eggs hidden throughout these episodes, and explore what I’d want from a possible Season 3 of Iron Fist. So extort a shady businesswoman, grab a plane to Asia, and let’s get started! We’ve come to the end and—wow! What a ride. Don’t mistake that for praise, though. While there were some things I liked in these final few episodes of Iron Fist Season 2—which I’ll get into in a bit—let’s begin with some glaring issues. It took a full 13-episode first season, eight episodes of The Defenders, a few episodes of Luke Cage Season 2, and most of this second season, but the writers finally decided to address their biggest weakness: Danny Rand (Finn Jones) is an unlikable jerk whose girlfriend has better fight scenes than his. In many ways, I’m glad they finally addressed it, but explaining away Danny’s awful behavior as being symptomatic of the power of the Iron Fist just did not work. It felt hackneyed, clichéd, and forced. It was like they were saying the power of the Iron Fist gave Danny Rand mystical ‘roid rage! The revelation felt like it came out of nowhere, and the stakes in these final episodes were disappointingly low. Ultimately, I didn’t care whether Danny got the Iron Fist power back or not. 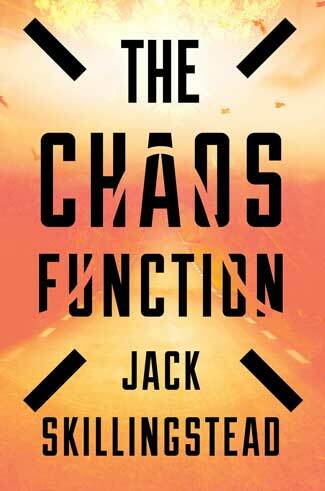 And as much as I love Davos (Sacha Dhawan) playing the Punisher-like antihero, I never felt like he was a danger to New York that only Danny and his friends could have stopped. Heck, if Joy didn’t get Danny and company the bowl for their ritual, an NYPD S.W.A.T. Team could have taken Davos down themselves. I also really hated that they waited until the final moments of the show to reveal one of the most fascinating aspects of Mary Walker’s (Alice Eve) character: her third and most violent Alter. Revealing this persona earlier would have made for much more of an interesting story than all those scenes we got with B.B. and his “squad,” which were characters I was repeatedly underwhelmed by. Mary Walker is a great character and deserves better than this show. Hopefully, she can find her way over to Daredevil where the comic incarnation of her character originated. Her background as a mercenary makes her an easy fit for that show. 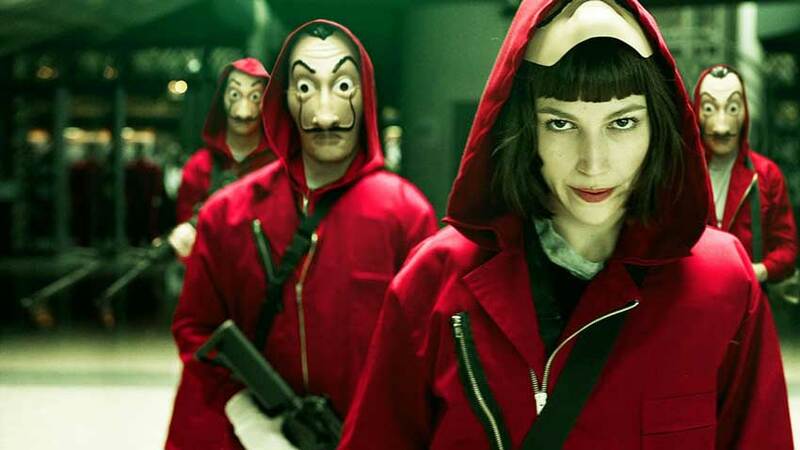 Wilson Fisk (Vincent D’Onofrio) could hire her to take care of his costumed vigilante problem. However, it wasn’t all bad. The continuing character dynamic between Misty (Simone Missick) and Colleen was a bright spot, as were Colleen’s several different fights. I also loved the cameo appearance from the hardest working small-criminal business owner in the Marvel Universe, Turk (Rob Morgan). But what I enjoyed the most were the setups for future seasons. Collen Wing with the power of the Iron Fist. Giving the Iron Fist to Colleen Wing makes perfect sense. She’s charismatic, and her fight scenes are always way better than Rand’s fights. 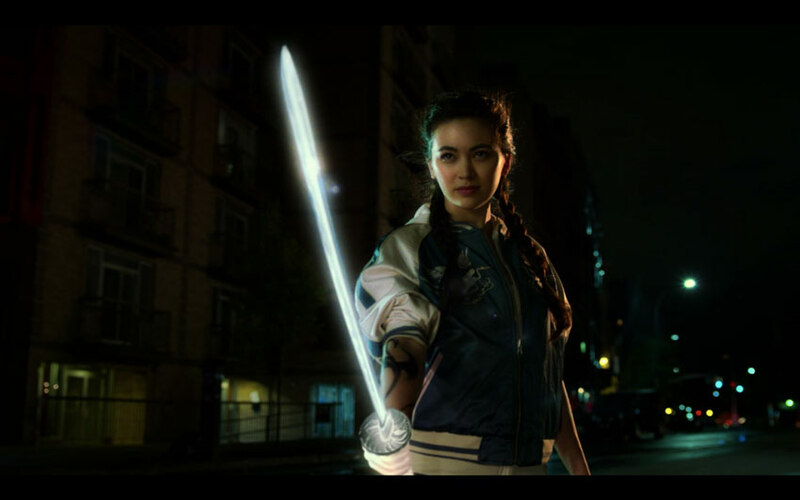 And as great as it was seeing her in her final scene standing there with a glowing white fist and katana, I don’t want to see her in a potential Iron Fist Season 3. No, Colleen (especially Iron Fist-empowered Colleen) is way too good for that. She and Misty deserve their own Daughters of the Dragon spin-off. They can tend to Chinatown and New York without Danny Rand’s help. Iron Fist Season 3 should not take place in New York at all. For the most part, I like the glimpse they gave us into Danny’s future in episode 10’s final moments. That’s partly because Danny is in Asia having adventures with Ward. If we get an Iron Fist Season 3, it needs to be a buddy-adventure that partners Danny with another character. Marvel did that with their comics in the ’70s when they combined Luke Cage and Danny’s solo comics into one title, Power Man and Iron Fist. Luke Cage is a little busy right now over in his own show. So I’d be more than happy if we get Ward and Danny as Business Man and Iron Fist. Having Ward share the spotlight would take some of the harder and more unlikable edges off of Danny’s character. Iron Fist Season 3 should also be a globe-trotting adventure with Ward and Danny investigating the legacy of the Iron Fist. You could even have flashback episodes where we see Iron Fists from other times, like Colleen’s ancestor Wu Ao-Shi, the Pirate Queen of Ping Hai Bay. That was one of the great things about the 2006-2009 Marvel Comics series The Immortal Iron Fist. The book featured present-day adventures of Danny Rand and his friends along with flashback stories that devoted an entire issue to an Iron Fist from another era—like Wu Ao-Shi, who starred in the seventh issue of the series. Immortal Iron Fist also introduced readers to Orson Randall, a character I mentioned in my earlier installments and whose name Danny and Ward drop in the final moments of episode 10. I was excited to finally hear Randall’s name mentioned—although they should have gotten to him much earlier. The fact that Danny is wearing Randall’s coat at the end and copying his signature move of firing two .45s that have been empowered by the Iron Fist’s chi seemed like the show was thumbing its nose at me and saying, “You want Orson Randall? 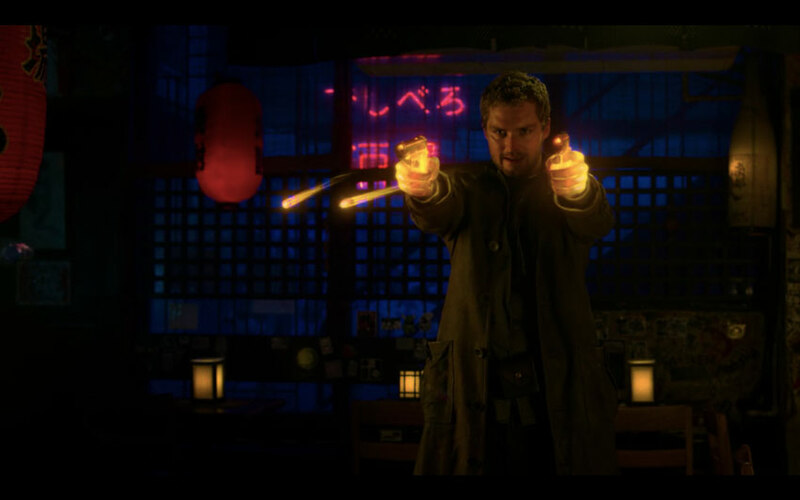 Fine, here you go!” Hopefully, Season 3 finds Randall beating the snot out of Danny Rand and taking back his guns. 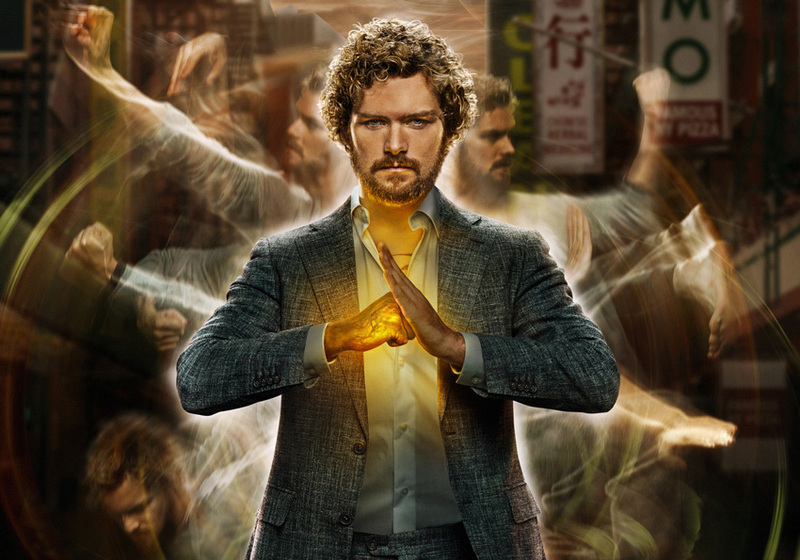 Danny Rand doing his best Orson Randall impersonation. There were several other minor comic Easter eggs that appeared in these episodes. When Walker talks about how the Sokovian prison camp was a “bloody mess” when she was found by soldiers, that’s a nod to one of the Alters of the comic characters that inspired her, Typhoid Mary. Typhoid’s most malevolent Alter is named “Bloody Mary.” Also, in episode 10, Misty says “Knight and Wing” and mentions how well her and Colleen’s names go together. That’s a nod to the investigative firm that Colleen and Misty’s comic counterparts form, Knightwing Restorations. The final Easter egg that jumped out at me was Colleen’s boss at the Bayard Community Center. His name is Sam Chung, though he’s quite different from the Marvel Comics character with which he shares a name. 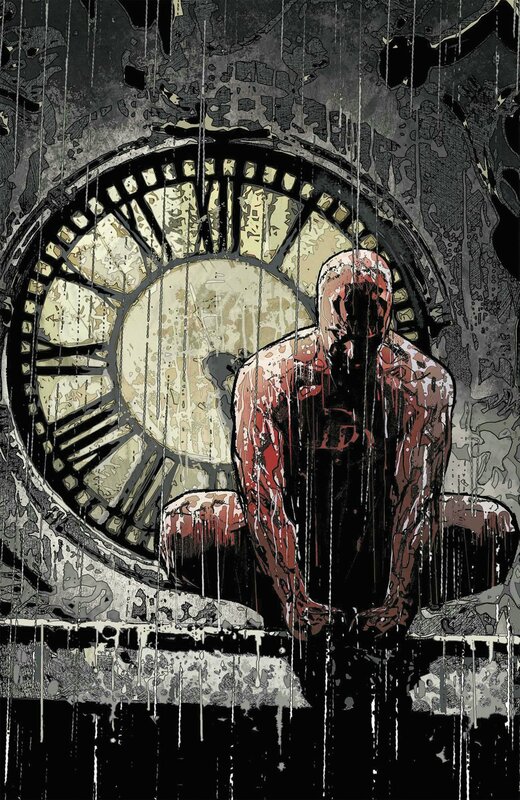 The comic version of Sam actually originated in Daredevil. In that series, he’s the son of an illegal immigrant who invents an invisibility device, adopts the heroic moniker Blindspot, and becomes Daredevil’s crimefighting protege. So, these final episodes of Iron Fist Season 2 had a lot of fun things, but ultimately, they were kind of a mess. They were a reminder of what this show can be at its worst as well as its best. It’s a huge improvement from Season 1—which left me hating the show—but it still has miles to go to be anywhere near the quality of Netflix’s better Marvel shows like Jessica Jones, The Punisher, Luke Cage Season 2, and Daredevil.